The beach along the East Coast of Peninsular Malaysia is not just known for its long, sandy and beautiful beach but also as one of the few places in the world where turtles go to lay their eggs. 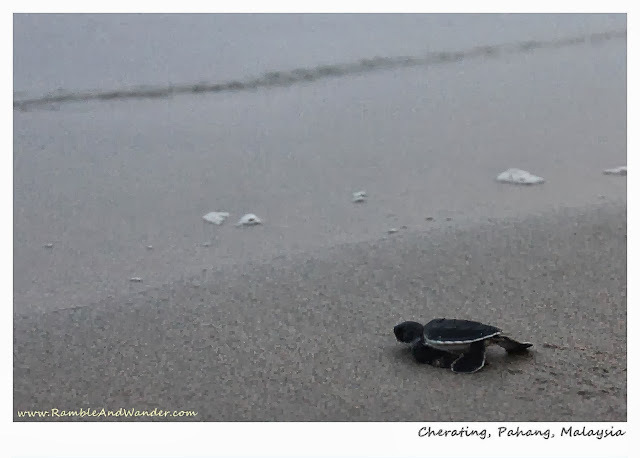 Among the popular spots for turtle watching there are Rantau Abang in Terengganu and Cherating in Pahang. 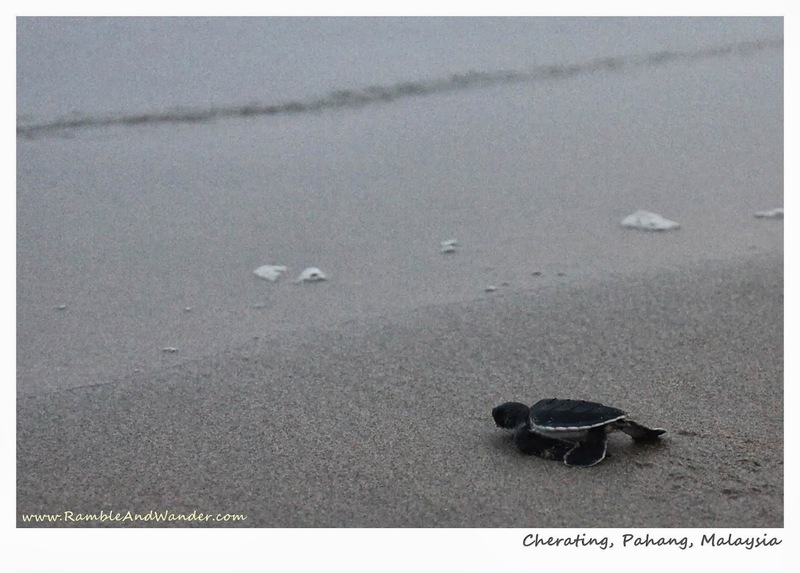 While Rantau Abang might be popular with the giant leatherback turtles, Cherating on the other hand is popular with green turtles. 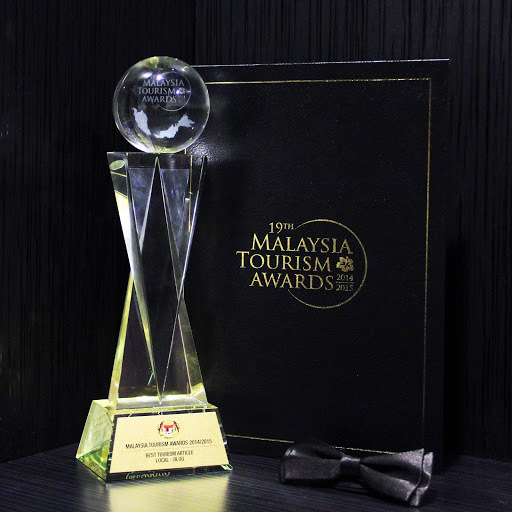 Location-wise, Cherating is also more convenient for visitors as it is closer to Kuala Lumpur if compared to Rantau Abang, making it a perfect destination for a short or weekend getaway from the city. And if you're heading there, the Turtle Sanctuary in Cherating is a must visit for a quick but informative and educational lessons on turtles and the conservation work involved. The Turtle Sanctuary in Cherating was initially set up some 40 years ago in 1972 as a small turtle hatchery place. Over the years however, with the funding received from the state government, the Sanctuary has expanded a little bit to become more than just a hatchery place. In late 1990s, the Sanctuary was eventually opened to the public as a 'Turtle Sanctuary and Information Centre' as part of an effort to create awareness among the general public about the need to conserve and protect turtles. Housed in a kampung house by Chendor Beach, the Sanctuary not only carries out research programmes on turtles, but also provides information and conduct informal classes, complete with a video session, exhibits and personal tour of the Sanctuary. What is interesting is that, in order to promote the Sanctuary, and in an effort to create the interests and more awareness among the public, they do not actually charge any fee to enter the Sanctuary. Donations however are of course very much welcome. There are three small ponds filled with hatchlings and turtles swimming around at the back of the house. These ponds proved to be quite popular among children and adults too. There was a group of school children when we first arrived and they all became very excited when they saw the hatchlings and turtles up close. Further at the back of the house, there's a purposely-built camping area where visitors can put up a tent and stay overnight at the Sanctuary. This is recommended, especially during the nesting season, if guests would like to watch turtles landing and nesting, and maybe also hatchlings emerging from eggs. These events usually happen only at night time or very early in the morning. Not far from the camping area and literally by the beach, there is a small hatchery area where eggs are kept in the sand for incubation purposes for a period of 50 to 60 days. The hatchery area is fenced in order to protect the eggs and hatchlings from predators and to ensure that all hatchlings are safely released to the sea soon after. Visitors to the Sanctuary can have the opportunity to personally release the hatchlings to the sea by making a small donation to the Sanctuary. The experience in holding, releasing and watching a hatchling moving towards the sea is guaranteed to be a memorable one, what more when the moment is shared with family and friends. Besides creating beautiful memories, such donations would certainly help fund the Sanctuary better in their research and conservation work to ensure that the survival rate improves and the number of turtles around the world continue to grow. We have been informed that, based on a study, currently only an estimated 1% of all the hatchlings released to the sea survive to become an adult turtle. When handling a hatchling for release, please do so with utmost care and let it trot on the beach first rather than releasing it right into the sea. It is believed that when a hatchling trots on the beach for the first time, it will always remember the beach and identify it as home even after travelling far and wide. Our guide told us of one turtle, which was tagged, and which has travelled as far as Japan had come back home to Cherating after some 15 years just to lay eggs. Hopefully with all the good work done by this Turtle Sanctuary and all other individuals, more turtles would survive and more would eventually come home to Cherating in the future. For those who would like to go on a private turtle watching tour during the nesting season (April to Aug/Sep), you may also call Pak Su at +60 13 906 4828 / +60 17 927 9678. A sample 3D/2N itinerary in Cherating can be found here. More photos from the trip can be found on Ramble and Wander Facebook page. My appreciation and thanks go to The Legend Resort, Cherating, Grand Seasons Hotel, Kuala Lumpur, Tourism Malaysia, Santai Travel Magazine and last but not least, Anthony Clement for the opportunity and arrangement to be part of 'Sahabat Media Cuti-Cuti 1Malaysia' programme to Cherating, Pahang. For other www.RambleAndWander.com travel blog entries on Malaysia, click here. Cute baby turtles :) May they live long and return back to Cherating! Memang comel lotte :-) And yes, hopefully they'd live long and return to Cherating in the future. Terengganu? Tanjung Jara or Terrapuri? Heh heh! Yup! But service-wise, Tanjung Jara should be good as well. Part of YTL Group kan? Eh! Is that true? It's not halal? I thought diharamkan under the law because of conservation effort. Too cute! What a great experience for you! Thanks for sharing it. Hi I'm planing to have a visit on the 31st August, you guys operating during that day? What about Monday the following day? Hi, I'm not sure as I don't work at the sanctuary. I know it opens daily apart from Mondays when it's closed to the public. So maybe you can call them up on Saturday to see if they are open this Sunday? The number is available at the bottom of the post above. Alternatively you might want to call Pak Su if you'd like to try turtle watching tour.